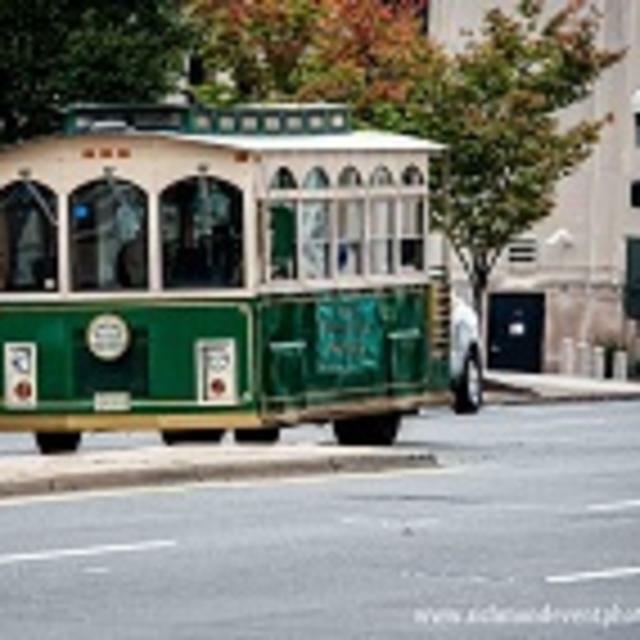 Exclusive & custom trolley tours of Richmond & Central Virginia! Our elegant & intimate trolley is available for private small-group excursions (max. 14 passengers). Our beautiful trolley includes classic wood bench seating, cushioned for your comfort. We are fully heated & air conditioned & our enclosed glass windows can be opened or closed as desired to accommodate Central Virginia weather in every season. Tours may be privately catered - FOOD & ALL TYPES OF BEVERAGES are welcome. We're happy to pick you up & return you directly to your hotel or other location. We'll even let you take pictures on the Politician Deck in back & ring the bell as you climb aboard!